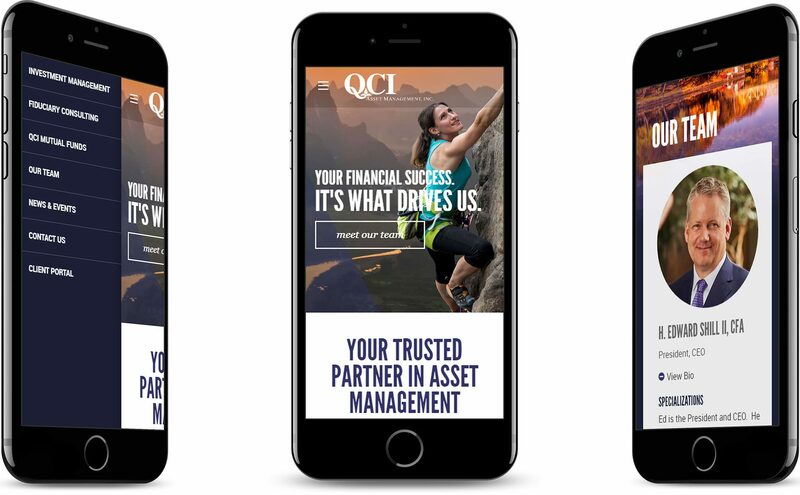 Large full-screen imagery and bold design helps communicate QCI’s position as a trusted partner in asset management. 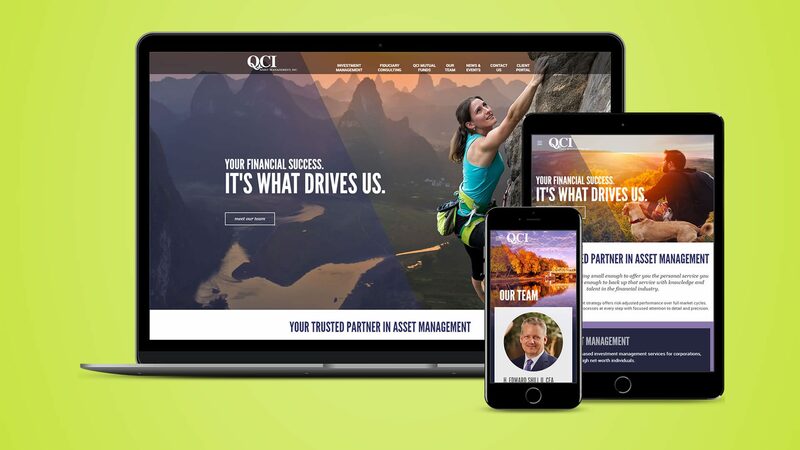 Fresh color interactions, striking diagonal lines that frame and focus, and an overall powerful digital design that is compelling across all devices sets QCI Asset Management apart from their competition. Clever geometric design elements such as diagonal lines frame and focus content while engaging users and giving them visual cues to the content below the fold. 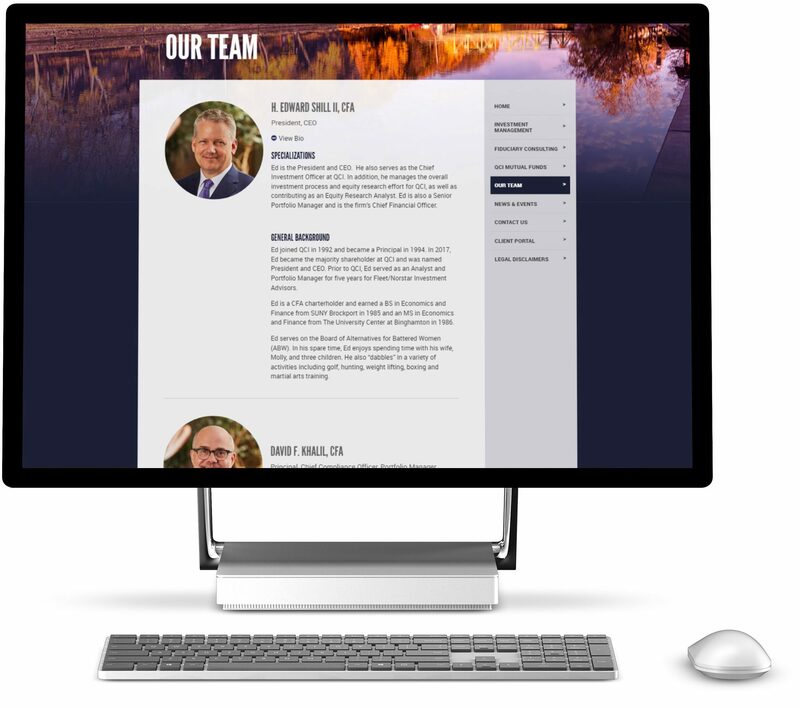 A stunning employee directory displays current staff including their names, job titles and a biography section that can be expanded and collapsed. QCI remains engaging and compelling on all devices. 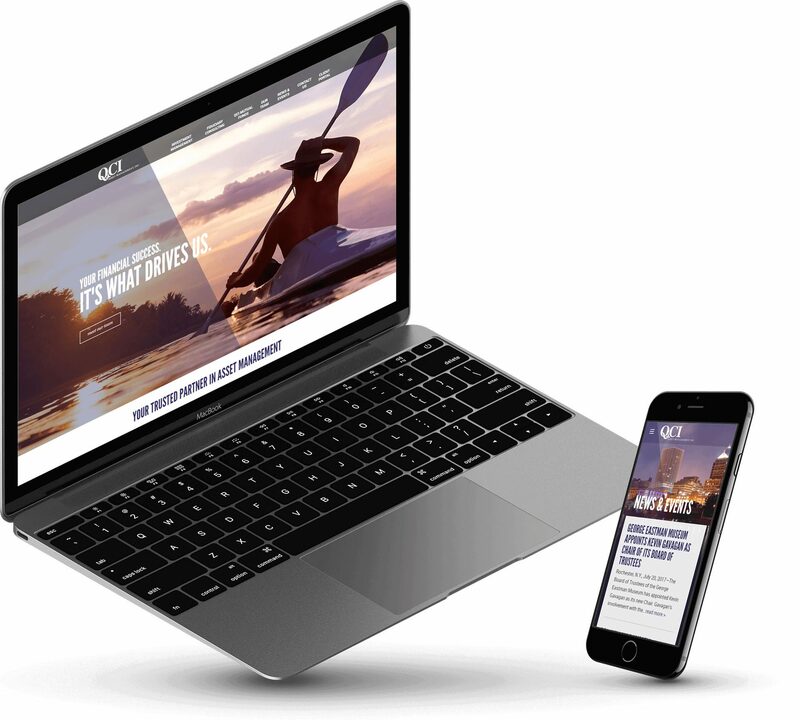 Special layouts such as the Team Directory and News pages scale seamlessly from desktop to mobile. 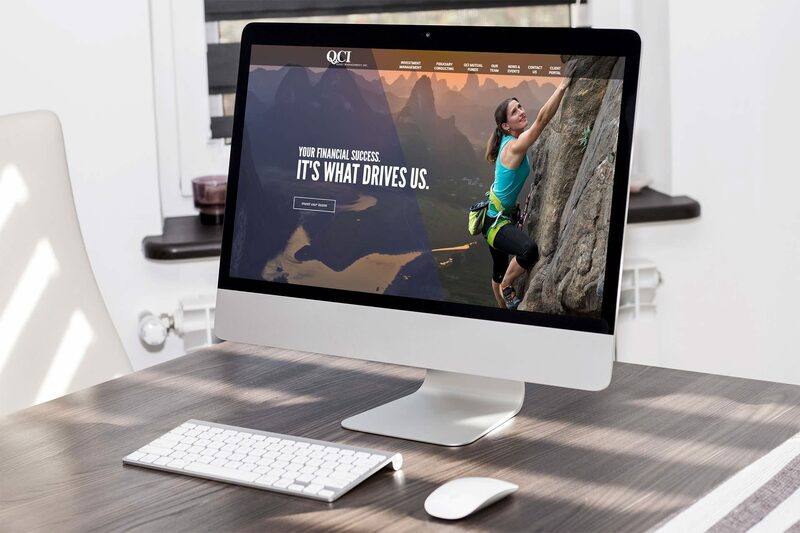 Combining high quality images, animation, and a unique design, QCI delights users with its engaging experience.